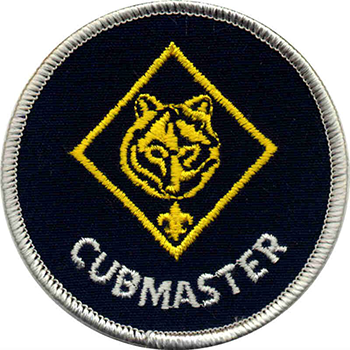 Congratulations on becoming Cubmaster. You are the face of the pack and a big influence on the boys as they move through Cub Scouts and onto Boy Scouts. Are you intimidated? You shouldn’t be, we have 8 weeks of things you can do to get your reign as Cubmaster off the ground. Create a MyScouting account and take Youth Protection Training. Contact all den leaders to confirm date and location of all den meetings. Contact all den leaders about selling popcorn. Conduct leaders’ meeting to get acquainted and to plan first pack meeting and answer any questions. Assign parts of pack meeting to dens and provide materials on what to do at the pack meeting. Plan next 3 months of pack meetings and pack activities. Encourage all leaders to take on-line trainings. Inform leaders of upcoming leader training sessions and invite them to attend roundtable meetings. Contact pack Committee Chairman to make sure that all committee members understand their role. Follow up with den leaders to see how first den meeting went and answer any questions. Follow up with any new Cubs who did not attend a den meeting. Plan on attending the District/Council Cub Scout Event. Conduct an exciting Popcorn Kickoff. Talk with each Den Leader about their den meetings. Discuss any concerns and answer any questions. Ask if the den leaders need any materials for their den meeting or the pack meeting. Ensure that each den has turned in the Cub rank advancements to the pack Advancement Chairman, so that awards may be acquired. Follow-up with Den Leader on how the popcorn sale is going. Confirm attendance from each den. Prepare an exciting recognition ceremony for the Scouts’ accomplishments over the summer. Share the pack’s plans on attending the District/Council Cub Scout Event. Conduct leaders’ meeting to plan next pack meeting. Assign dens part of the upcoming pack meeting. Follow up on any needs from the dens. Follow up on Scouts who have not been attending den meetings. Communicate with den leaders on the progress of the Scouts on their advancement and their popcorn sale. Make sure that the den leaders understand the Bobcat rank requirements and those they need to turn in to the pack Advancement Chairman during week 7. Plan and prepare for Bobcat Ceremony that will be held at the next pack meeting. Ensure all new Scouts have completed the Bobcat rank. Make sure that the ceremony will be memorable for the Scouts and parents. Conduct the second pack meeting after sign up. Conduct an impressive Bobcat Ceremony. Communicate how to turn in popcorn orders. Remind parents of popcorn order turn in date. Has your Pack attended a District/Council Cub Scout Event? Have you made it all this way and are not quite sure what a Cubmaster is? The Cubmaster leads the Pack and the Pack meetings. He or she is the primary source of information for the group and will be able to answer most of your questions.